I never really cared about my underarms ‘til my cousin pointed out one college day that my armpits were really dark. BOO TO THE HOO! After that PIT-iful awakening, I realized… I haven’t been kind to my pits. My whole life, I shaved them, used not-so-pit-friendly antiperspirants, and rubbed them ever so vigorously with my towel after baths. Years later, this Beef was reaping the DARK consequences! Ever since then, I couldn’t confidently raise my arms in public and tried my best to avoid wearing sleeveless tops. After trying almost everything (bleaching, waxing, whitening products, switching deodorants, a 3 year relationship with IPL), my underarms improved a little, but not to its full PIT-ential. Along came Wink, and my pits (and I) were changed forever! I told Wink about my armpit woes and they were happy and ready to help! 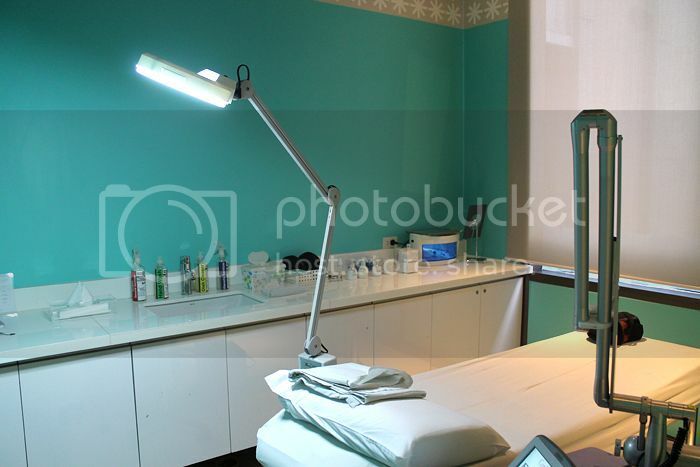 I was going to try their Laser Hair Removal and Revlite treatments for happier, whiter, and summer ready underarms! LHS – A pain-free hair reduction treatment using Alma Soprano Diode Lasers. My first session was the Laser Hair Removal treatment. As I have mentioned, I have been going to IPL treatments for quite a few years now. Although it has indeed reduced my hair growth and a little bit of the thickness of the hair strands, it’s quite painful, has two days down time (aka no deodorant wearing/soaping of the pits), and it takes a lot of sessions for you to actually see any progress. After 30+ sessions at Php 300, I still have to shave every week. LHR on the other hand, is virtually pain free, has less downtime (just a few hours-one day), is gentle on your underarms, and just after two sessions, I now only shave once in a blue moon! Revlite – A quick, safe, and chemical-free skin fix that helps whiten underarms, erase bumps and chicken skin, reduce underarm lines & folds, and helps permanently reduce hair as well. My next session was for a Revlite treatment. I cannot express how efficient and easy this treatment is! Right after every treatment, I can already see and feel my pits improving! I’ve seen a video of them removing someone’s tattoo using Revlite – so just imagine what it could do to your dark armpits?! And guess what? This treatment has NO DOWNTIME! No peeling or stingy feels post treatment! Also, I love how they take photos of you after every treatment – it’s documented proof your Revlite progress, so you can see & track the results yourself! 1. Wink has the best interiors! Not to mention, their studios are very clean and orderly too (aka this oc girl approves). 2. You get what you pay for…and then some! Effective, efficient, and professional best describes Wink. They also remind you a day before, via text (WITHOUT FAIL), about your appointment. 3. Wink is very informative. They brief you before and after your treatment – so you know what’s up! 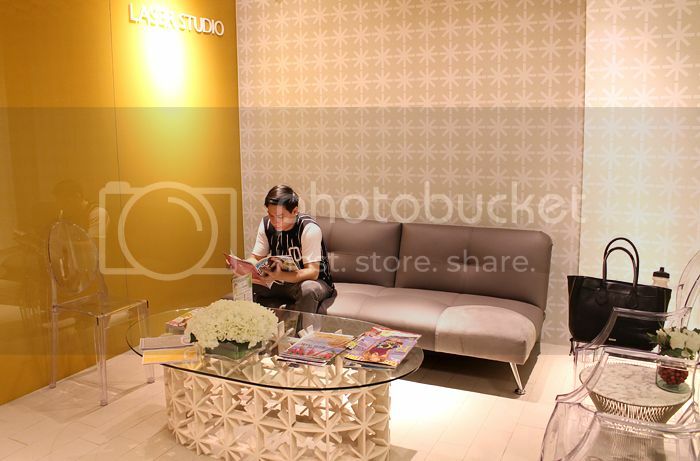 You can even ask them all your questions regarding your treatment and they’ll gladly answer them all. 4. Their staff is LOVE! <3 They’re so nice, friendly, and helpful! There’s always a happy aura when you’re around them. After my first date with Wink, in a span of just two months, I’m happy to say that I’m no longer armpit conscious! *happy tears after all these years* My underarms have improved SOOOO MUCH and I believe I’m hair free already! I would have never had the guts to pose like this if it weren’t for Wink! 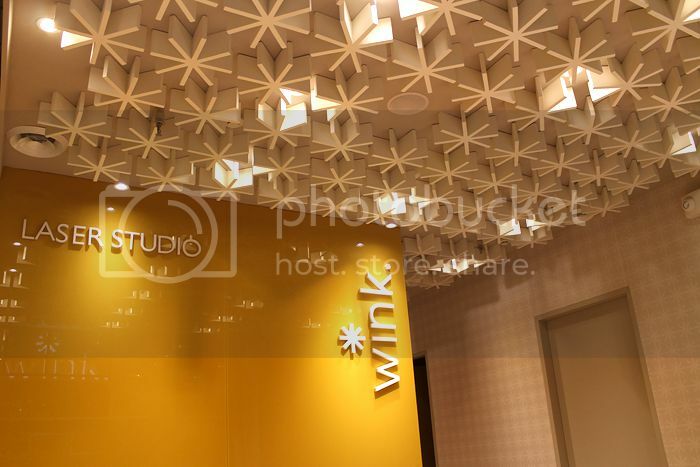 For more information about Wink Laser Studio and their services, you may check out their website or follow them on Instagram.